When I was given the chance to review a pair of N-Tune HD Headphones by Monster, I literally shouted out loud. You know Monster. THAT Monster. The experts behind Pure Monster SoundTM. Monster Headphones? In a family of three sons who all love music? Talk about a match made in heaven! When the delivery service brought the package to my house, I couldn't open it fast enough. Cool, right? These are part of the Candy Colours Collection. Lots of amazing color choices. But even this packaging can't do justice to the headphones themselves. They're a technological work of art. I tried the headphones and was truly impressed with them. At that point I considered putting them away and to give to my youngest son, Lee, as a Christmas gift. But then I decided to enlist his help to review the headphones. I knew that I would like them and could use them well, but could they stand up to being used by a teenaged boy? Lee is a junior in high school, so he has a busy schedule. At his school, students are allowed to bring electronic devices to use in their schoolwork. They're also allowed to listen to music in Study Hall, provided that they use headphones. My oldest son is a classic rock fan. My middle son loves country music. Lee is a movie lover, so likes to listen to movie soundtracks. He was so happy to have good headphones for listening to his favorite scores! Red hair, red headphones. Pretty awesome, don't you think? Obviously these headphones look amazing, but they're more than just a cool-looking package. They pack a powerful sound performance. Monster says, "N-Tune HD is an audio achievement that will allow you to hear your music as you never have before, bringing you closer to the performance." And that's right. These headphones deliver pure Monster sound. The headphones also provide noise isolation. Lee really appreciates being able to use them shut out distracting noises in study hall. One of Lee's favorite features is that they're super comfortable to wear. They're easily adjustable in size and the earpieces are nicely padded. I really appreciate this feature, too. Some headphones are so uncomfortable that wearing them is distracting, but not these. My favorite feature is that these headphones are built to be durable. They're specially engineered to be super-tough and designed for durability. I've found many electronic gadgets look great but break easily. These were designed with the user in mind--the folks at Monster know that headphones are going to get tossed into backpacks, handed from friend to friend, perhaps even sat upon. These look incredibly cool, but they're also tough. After a couple of weeks of being subjected to very rough (i.e., normal) use by a 16-year-old boy, the headphones have one tiny scratch in the paint. And the other great thing about the N-Tune Headphones is they're reasonably priced. Monster's goal in producing this product was to provide Pure Monster Sound at prices that most people can afford. Incredible sound, beautiful appearance, great comfort, and excellent value. I'd say this product is a winner! Lee told me that he thought that any high school or college student would be really happy to receive these headphones as a gift. I asked him if he would have been happy to receive these for Christmas. His response? "Definitely." But he's really glad that one Christmas gift came early this year! 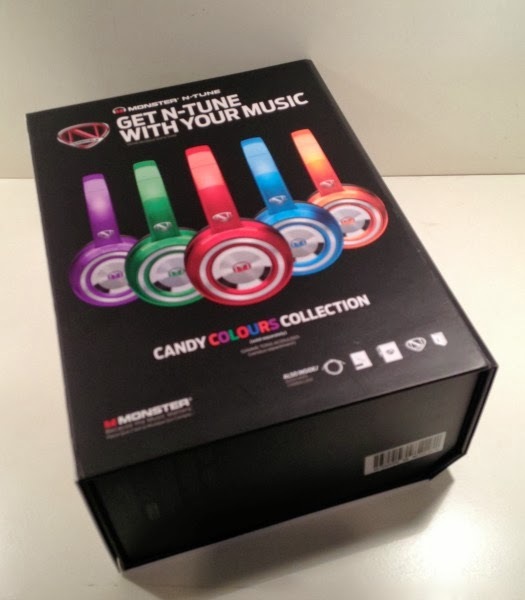 Now for a special opportunity: Monster is giving away 25 pairs of these awesome headphones! 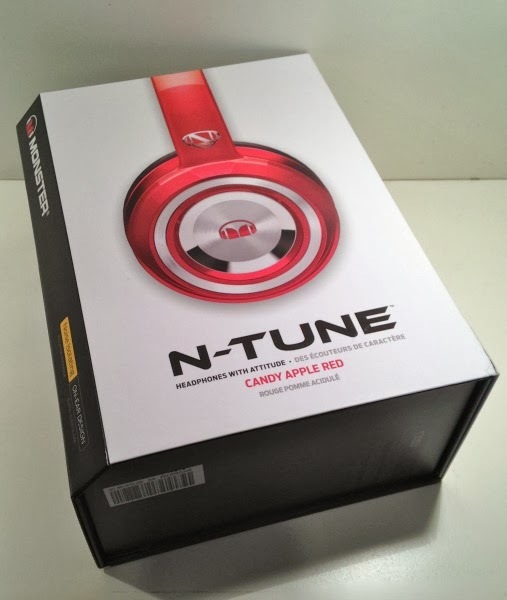 To win your very own pair of N-Tune headphones (valued at $150), read all about the Monster headphones here and let me know in the comments here which color you prefer. The comments on my post will be aggregated with the comments on the posts from the other bloggers participating in this review, and 25 pairs will be given away. This giveaway will close on November 1.
and provided with a pair of headphones as well as compensation for my time. As always, my opinions are strictly my own. This giveaway is open to US Residents age 18 or older. Winner will be selected via random draw, and will be notified by e-mail. You have 72 hours to respond; otherwise, a new winner will be selected. BlogHer will pool entries from participating blogs and select a sweepstakes winner at random and will contact the winner with details about fulfilling the prize. The Official Rules are available here. This sweepstakes runs from 10/2/13 – 11/1/13. Thanks for the giveaway. I'm having trouble finding where to post a comment on the Wal-mart site. I only see an opportunity to post a review of the product. Please clarify on how to enter the giveaway. Thanks again. Never mind. I see that I should leave a comment on your site : ( Disregard my last post. Sorry. Thanks for the giveaway. My favorite color is candy orange. Thank you for the awesome giveaway! I adore the Candy Red color! I'd love to give them to my husband as a Christmas gift. Could you tell me the approximate price? Candy blue is my favorite. Would love a chance to win some. These are awesome! My kids would love these!! I really like the candy green color! Thanks for the chance!! As you'll see when you visit the walmart.com site, these sell for $119. Obviously that's not cheap, but it's much cheaper than similar headphones from other lines. 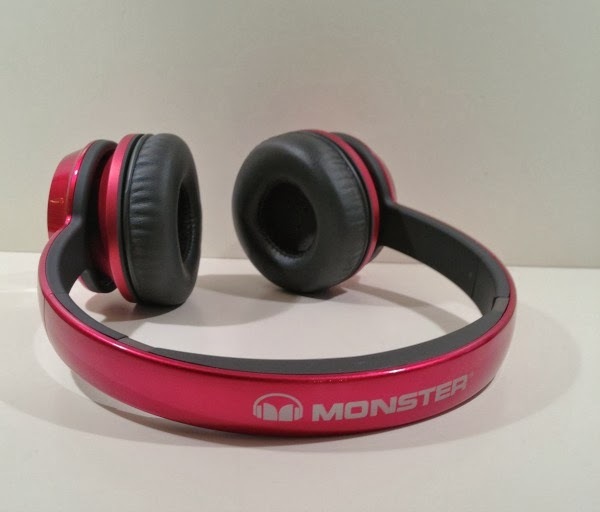 Monster was trying to create a product that people could afford when it developed these headphones. WOW! These headsets are awesome. I'm really undecided between the red and blue. But think I'd have to choose the blue. I love the green, but the orange wins my vote. What a fun giveaway! Thanks for hosting! i always pick blue :) but my cam would pick orange! these guys really are tough on headphones, aren't they?! and wait...lee has study hall? doesn't even exist here! yikes! Candy green looks amazing! I would love to win! Thank you for the opportunity. Great giveaway! I'm a ladybug lover so red is always my favorite! Thanks!!! Wow ~ I would love purple! Thanks for the chance! What a great give away, just in time for Christmas. I adore the green ones, but any color would be awesome to own. I LOVE the blue ones! GREAT giveaway! These look ideal and if the sound is as described it will be on my Christmas list for certain! I like the Candy Purple -- for fun! Candy Tangerine all the way! Oh my! 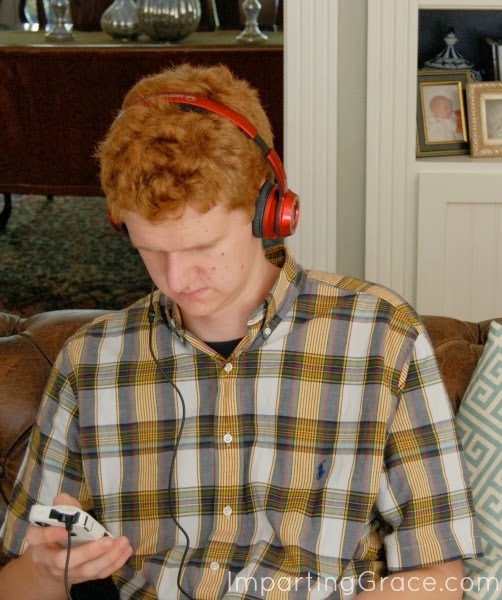 What is it with teenage boys and headphones? We must have gone through a dozen pairs of them in the last year with our four boys. Our guys would love a pair of the Candy Blue....from Monster! So cool! thanks for the giveaway! Love the purple but that candy green is pretty awesome! My boy is loving the tangerine. Theyre all awesome! Thanks for the giveaway! Oh, what a wonderful Christmas gift these would be for my 18 yr old daughter! And I can say that we'd both be grateful for any color. What a wonderful give away! Thank you for everything you do each and every day! I don't have any of the items required as a signature.. Thanks. I'd get the blue ones! For me it's a tie between the blue and the purple, they are both so pretty! I definitely see these going on a few Christmas lists this season! Thanks for hosting the giveaway. My favorite of all these bold colors is the candy purple. Thanks for the chance to win these beauties!! My fav is the Candy Purple!! The Candy Red are the best. really is christmas came early. :) I would love a pair of the purple one, so pretty. The Candy Blue are by far my favorite pair! !